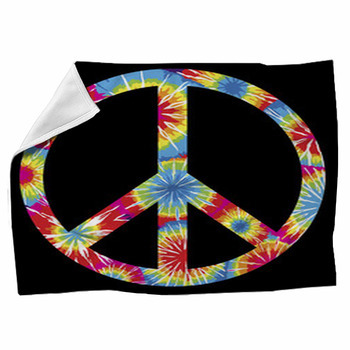 Make a stand for peace with our peace sign blankets. 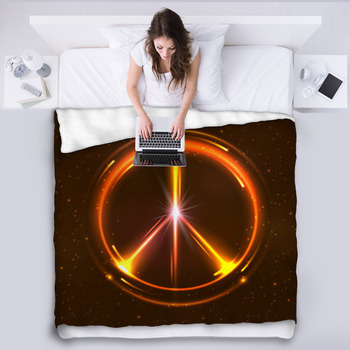 To show your burning desire for peace, choose a blanket with a peace symbol engulfed in orange, red, and blue flames. Or, try one with a rainbow colored peace symbol surrounding a globe showing Europe, Africa, and the Middle East. 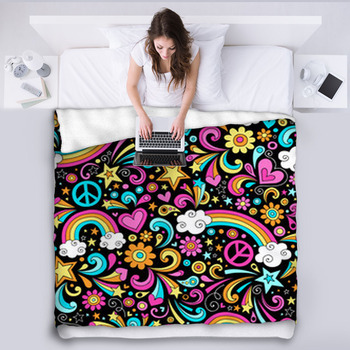 You can even find a blanket proclaiming PLANET LOVE with the O made from a graffiti stencil style peace symbol. You can also promote peace by hanging up peace sign throw blankets, including a peace symbol merged with the neck of a guitar. 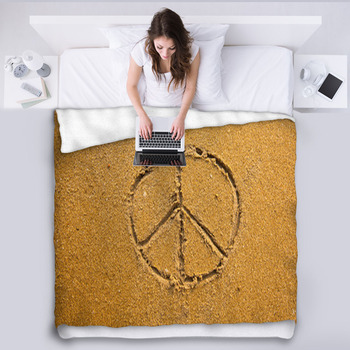 Other ways to demonstrate for peace are a blanket depicting rainbow colored children holding hands around the planet Earth, a yin-yang symbol, and even a recycling symbol made from three hands set in front of an orange sky. 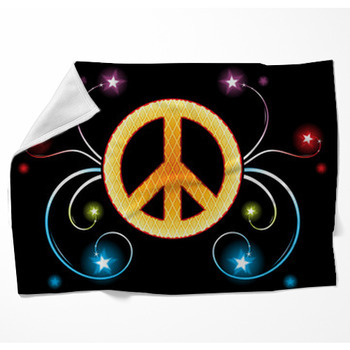 Peace is also about having good times, so celebrate the culture of peace with custom blankets. 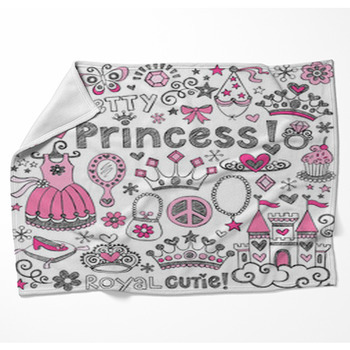 Here at VisionBedding, you can personalize and customize your blankets so they convey peace in a way that is special to you. Try altering the hues of handprints that, together, form peace symbols and smiley faces. 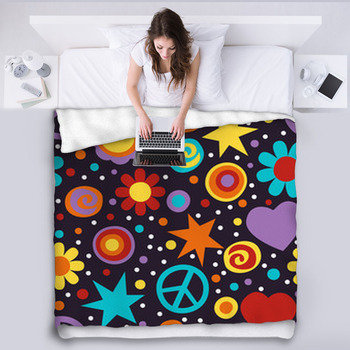 Add to the luminance or red, purple, and yellow stars to make a peace sign that shines brightly from your blanket. Even add your own images of peace from personal photographs or illustrations. Have an old picture of your VW van you'd like to lay in your lap? 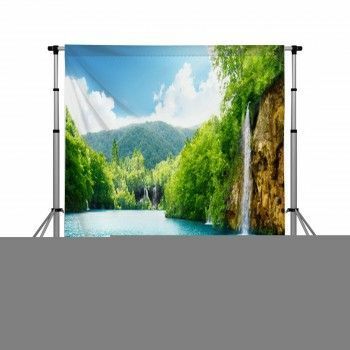 Then add it onto our backdrops so you can drive with peace in your recliner. The peace sign is a timeless concept, especially in these tumultuous times. Lay down a blanket of peace with VisionBedding.